A beautiful way to celebrate a special occasion! 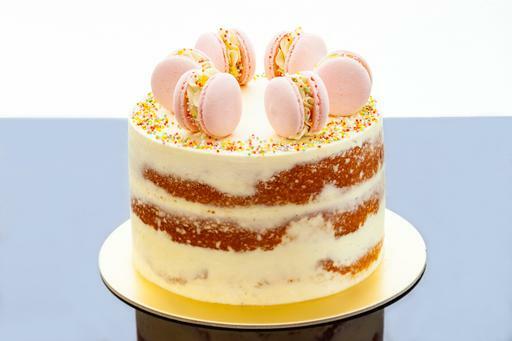 This semi-naked cake is adorned with natural sprinkles and pink macarons*. Since the cake is handmade, no two cakes are exactly alike! *The macarons contain a little bit of artificial food dye. The semi-naked cake effect is slightly different every time we make it. Words will be written on the cake board.